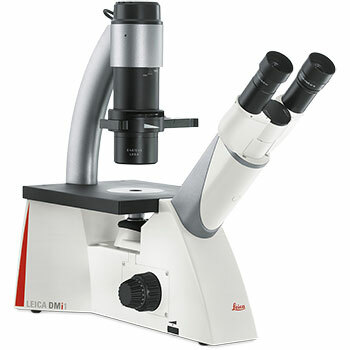 The Leica DMi1 inverted microscope supports your specific work routine. Its operation is both intuitive and comfortable so that you can fully concentrate on your work. Choose the functions you need and if necessary, add a variety of accessories that are important for your use. The microscope’s unique flexibility in accommodating an S40 condenser (40 – 50 mm working distance) or switching to an S80 condenser (80 mm working distance) is achieved by just a few hand moves. The microscope’s LED illumination means low energy costs and minimal downtime. No need to replace lamps often, or wait for the right color temperature to develop.